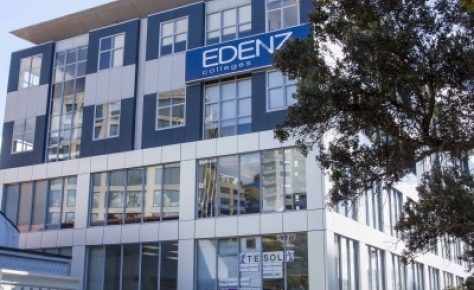 EDENZ has been around for 28 years but the new owners has purchased it 18 months ago, we’ve grown from 150 students to 1000. We have many of our students who have become full time employees and we always seeking new staff as we intend to grow even bigger. The scholarships cover all full tuition fees. Course cost between $3000 and $8000. In order for a student to qualify they will need to have permanent residency for more than 3 years (this needs to checked with studylink) or NZ citizenship. We have scholarships in our Business school, Technology school and NZ TESOL academy. The only course that isn’t covered by the scholarship is the Trinity course, there is an $800 moderation fee because this is done externally through Trinity College in London. Our school is totally not for profit, all profits made goes back into the community, we also 100% NZ owned so no monies leave the country. Same as degree level It involves: mobile app development, desktop software development, web application, cloud application, teamwork, project management. Stands for Teaching English to Speakers of Other Languages. Having TESOL is good teaching overseas and for public speaking and presentation skills in a corporate environment.